Outspoken Cycles | Family & Commercial Cycle Centre and more! With over a decade of experience of last mile logistics by bike, we’re experts in commerical cargo bike solutions. We’ve got a whole range of fun cycle-themed activities available to hire, from Pedal Powered Scalextrics and Cinemas through to our Smoothie Bikes and Try Out Shows. Visit our Family and Commercial cycle shop. 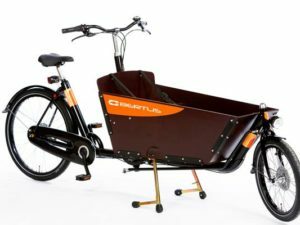 We have a whole range of cargo bikes from the likes of Bakfiets, Urban Arrow, and Winther. Make sure to Book a Test! 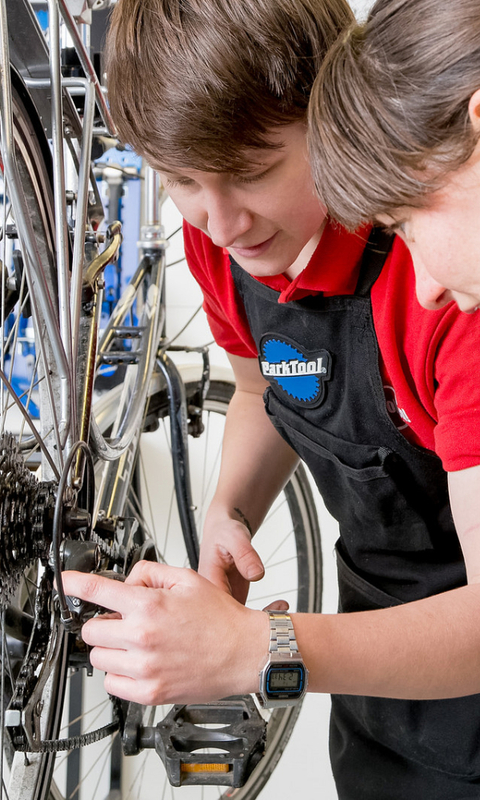 From on-site repairs to mobile Dr Bike sessions and Fleet Servicing, we’ve got your bike maintenance needs covered. We are the only specialist Business Pool Bike hire company in Cambridgeshire offering bike hire and managing fleets of pool bikes for hotels, conference centres and businesses. Welcome to Outspoken Cycles! 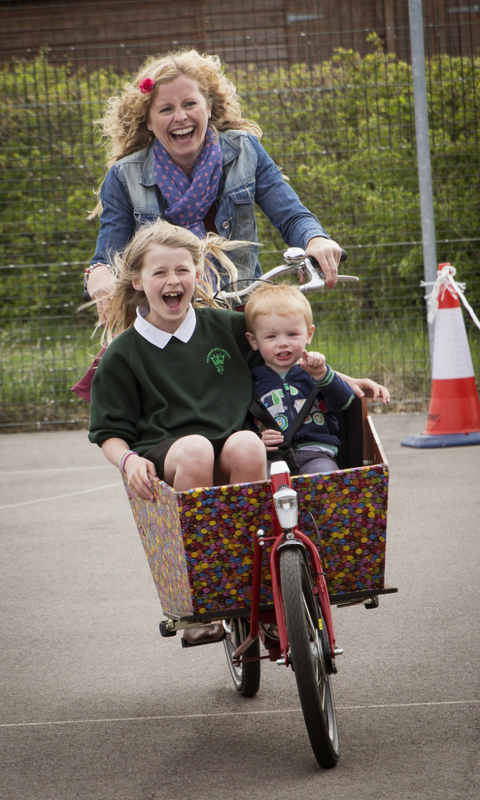 From fun cycle-themed events to Dr Bikes, maintenance training and pool bikes, we’re here to encourage more cycling. We work with businesses, local authorities, schools and community groups, as well as individuals. We work across the country and are always happy to work with customers to tailor our services to your needs. Do get in touch to find out more! 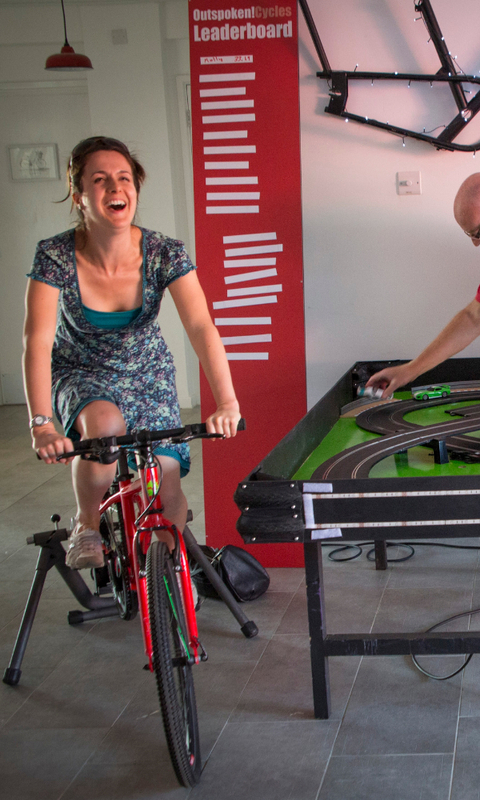 We’ve got a whole range of fun cycle-themed activities available to hire, from Pedal Powered Scalextrics and Cinemas through to our Smoothie Bikes and Try Out Shows. Our activities are great for a broad range of audiences, from private parties and corporate events such as wellbeing or team-building days, through to family events and community fetes. Click here to visit our event services page. 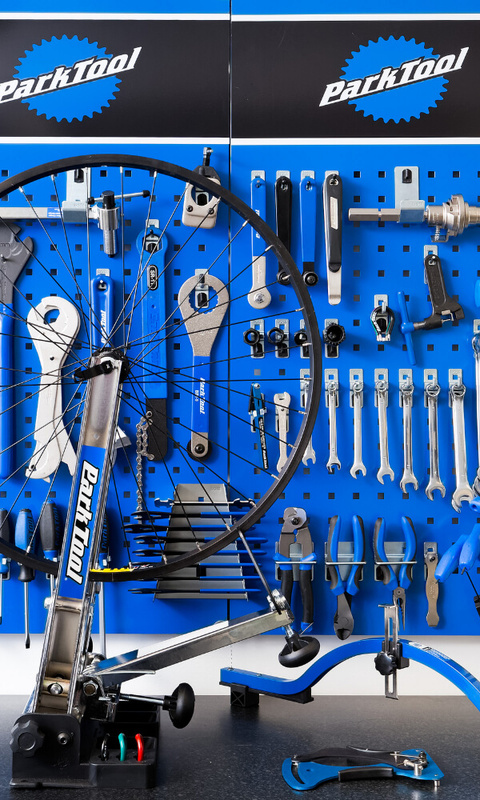 Our spacious training workshop is the perfect place to learn more about bike maintenance. Our popular one-day home mechanic courses are a perfect place to start, teaching the basics of bike repair. Or if you’re feeling like something more in depth, our four-day Velotech Gold course has you covered. Click here to visit our courses page. 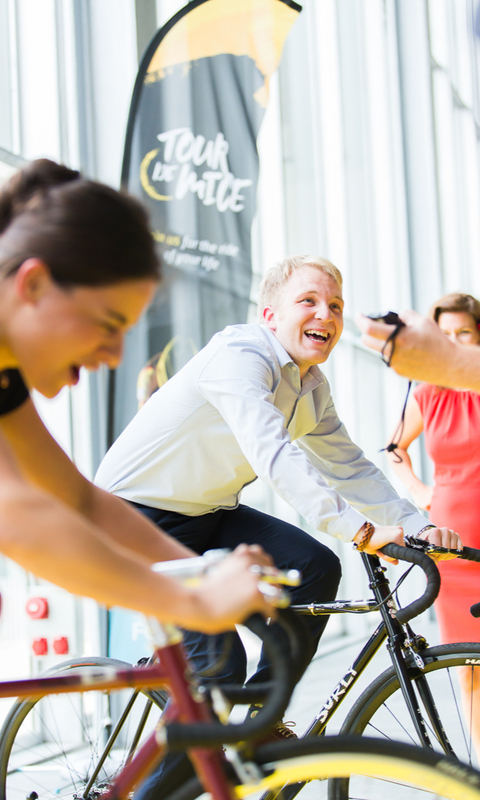 Want to encourage your staff to cycle more and boost your active travel? 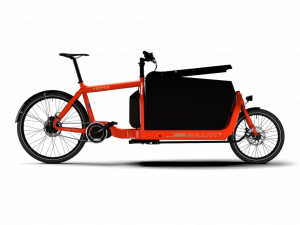 Need a Cargo Bike for local deliveries? How about Pool Bike servicing and management? Or perhaps a monthly Dr. Bike session to encourage and support your cycling employees? Our Business Services cover a range of commercial needs. Click here to see our business services page.